Control Keypads. MFG#: 222000216 Fits the Vimar Eikon Bezel The Elite™ keypad/display provides easy-to-use climate control in an attractive package. It works with Marine Air's Passport I/O microprocessor-based system for the precise control and monitoring of marine air conditioning systems. 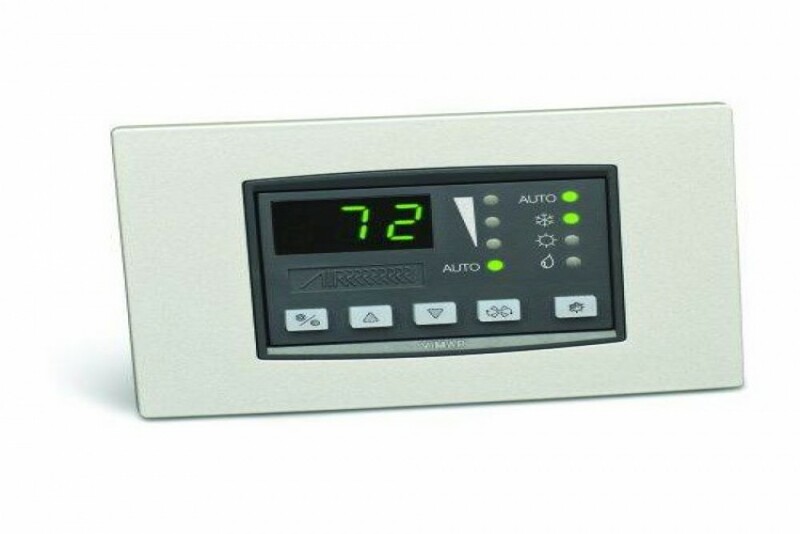 The Elite keypad/display operates at 115 or 230 volts, each operable at 50 or 60 cycles. The Elite features raised buttons for easy access and control. The Mode button is used to scroll through the four modes of operation, simplifying programming. Decorative snap-on Vimar® bezels (sold separately) are available in a variety of colors and materials to match your vessel’s interior. The Elite keypad/display is flash programmable, which allows for future software upgrades without the need to replace the circuit board.